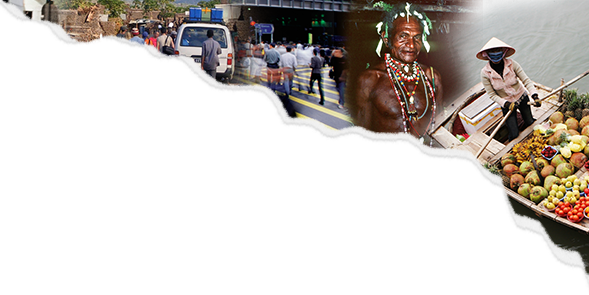 Welcome to the Innovations in Anthropology Series, a blog series devoted to profiling the teaching, production, and dissemination of anthropological knowledge. Whether it’s gamifying teaching, positioning a department more closely in its local context, exploring multimodal methodologies, collaborating across disciplines and institutions, or highlighting the importance of ethnographic research with a variety of publics, these anthropologists and their colleagues are finding new ways to leverage the unique strengths of anthropological research and approaches. With contributions from Towson University, The Laboratory of Speculative Fiction, the Ethnography Lab at University of Toronto, the Centre for Ethnography at University of California Irvine and more, we invite you to join us as we tour these spaces of innovation in the coming months. The first contribution in this Series is a two-part blog post that outlines the rationale and strategies that two professors at Towson University have taken towards a more innovative approach to teaching anthropological theory. Avoiding the tendency to choose between lionizing the past or critiquing the colonial underpinnings of the discipline, Matthew Durington and Samuel Collins manage to walk up the middle of this polarized debate by embracing the key tenets of design anthropology and the strategies of both remixing and gaming in their teaching. In our first post we talked about the need and logic for remixing and gamifying theory. In this post we’ll take you through some of our experiments that we have tried in our classes. 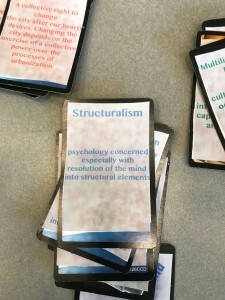 One mode of integrating game design is to invite your students to bring classic board and card games and attempt to integrate anthropology into them. 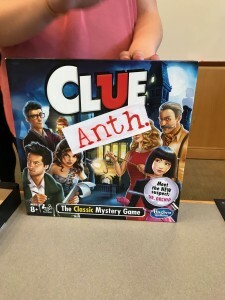 An example might be the game Clue, where ethnographic scenarios replace the clues typical of the game to cobble together a goal and discover the theory/theorist. 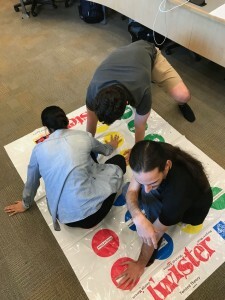 Another hack could be for the game Twister, where students are quizzed on different questions as a study exercise and if they fail to answer correctly have to take a spin of the wheel and move to the appropriate colored circle with an arm or a leg. The person who gets hopelessly entangled in theory loses. Students have jokingly likened this to being ‘twisted up’ in the sometimes confusing nature of anthropological knowledge literally. For some reason, or perhaps because of its elementary nature, Candy Land is a highly popular game hack where a set of moves along the candy trail are based on answering increasingly complex study questions about a particular course. The dualism here is that students are concentrating on developing knowledge in the construction of the game (often through argument), and then creating something that in the end tests that knowledge. For anthropological theory, we try to retain the necessity to impart the heritage of the field while simultaneously attempting to evade the mundane nature of focusing on this for an entire semester. Gamifying the elders has worked well. At the beginning of the semester, students are assigned an anthropological theorist or a social theorist often pulled on by the discipline such as Foucault, Bourdieu, etc… Students are tasked with reading one work by this individual in the form of a book, article, treatment, etc… They are given a set of questions particular to each theorist that they have a few weeks to work on. The next step is to create groups of 4-5 students with their accompanying theorists. After being introduced to game design through a workshop (a brief teaching module pulled from our larger anthropology design curriculum), students are given a minimal set of guidelines for developing a game using the combined theorists. Minimal guidelines are key as past iterations have shown that too much guidance creates replication between the groups. At the end of the semester students bring in prototypes to present to the rest of their colleagues and we have a play event. The class votes on the best game and the winner is incentivized with extra credit adding a gamification component to the course. While a number of different game hacks of standard board and card games has occurred, every semester one novel creation tends to emerge from the course. And, the dictum of ‘less is more’ is borne out time and again as the group with simplicity as their goal tends to emerge as triumphant. 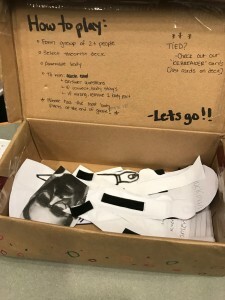 An example of this is the “Anthropology Carnaval” where one student group approached the development of a game with a very simple goal…take out your frustration with anthropological theory by throwing darts at the faces of theorists themselves. Students created a document with the faces of five theorists and projected them onto a sheet on a wall. Balloons were blown up and placed over each theorist. Turns are taken by the players. As balloons are pierced by the darts, students are asked general questions about anthropology. If they answer correctly, they get another dart. If they miss, it is the next person’s turn. If the face of a theorist is revealed, the player who is throwing can ask for a question about that theorist. If they answer correctly, they win the game. The mechanics for this game are incredibly simple. It possesses a study/quiz component, has collective action in group play, but also has the capacity for one individual to emerge as a winner. Plus, you get to throw darts at the face of Clifford Geertz. The hack is particularly the “individual assertion within and against the group” (Ellison 1964, 234), which may be easily attached to an individual even though it is still indebted to a wider tradition and conversation. There is a politics inherent in hacking, one that can be deleterious (as in the case of information theft), but another than can be subversive, critical and, ultimately, may even lead to a revolt against the status quo or a robust critical approach to anthropology. Games present just such a rich opportunity to undermine the sanctity of the anthropological canon by exploring the aporias of the theories that suffuse anthropological work. If you hack the board game Clue for Levi-Strauss-style structuralism by replacing the clues with “mythemes” and having the “solution” be the identification of myths through their structural mythemes, you haven’t really done much for the “playability” of this venerable board game, but you have started to critically identify the problems of structuralism, including the “hermeneutics of violence” implicit in the reduction of cultural lives to generative binaries. What begins as a noble pursuit (the history of theory!) devolves quickly into bathos – and that was the point anyway. Hacking games is simultaneously hacking theory, transforming it from an object of veneration to something to be manipulated, derided and, perhaps, rejected and remixed. That is, the real lesson in gaming theory is not to create successful games. In many ways, creating the “unsuccessful” game shows us the limits of anthropological theory. Moreover, the arguments and debates over these limits constitute the practice of theory in an era of remix. If the game doesn’t work, if the theories can’t be applied, if the game mechanics lead to inextricable failure and intractable complexity, then that tells us something about theory, about learning theory and about applying theory. Gaming theory is all about its messy, perfunctory applications: theory’s alpha release. Regardless of the outcome of the game, the process of researching and reading theorists in preparation for the game forces students to read theory! It’s worth noting that we’re not alone in this approach. We have created a cohort of anthropologists dedicated to the integration and design of games into their work and teaching called #AnthropologyCon and have held two workshops on game design for anthropology at the last two American Anthropological Association annual meetings. (Check our website www.anthropologycon.org for more information and our sourcebook). Alongside our colleagues Krista Harper, Joseph Dumit, Edward Gonzalez-Tennant, Marc Lorenc and the Geek Anthropologist Nick Mizer we have brought many of our anthropological colleagues to think about the integration of games into their work. And, we have been fortunate to work with Anastasia Salter who is one of the leading game scholars in academia. 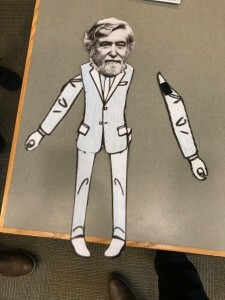 Games in anthropological theory can accomplish many things, but one thing we want students to come away with is the centrality of design to anthropology, while simultaneously finding a novel pedagogical approach for teaching theory. In anthropology, we make things. We tinker with them, in the sense of the bricoleur. We problematize the world–examining the parts, and then finding that they no longer come together into a seamless whole when we try to put the parts back together again. 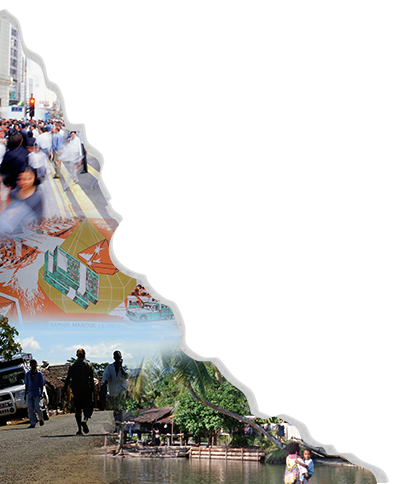 Ideology frays along its edges, urban policy betrays its structural racism, and anthropological theory reveals the bric-a-brac of colonial encounter, heteronormativity, ethnocentrism. Games can be “serious,” they can be pedagogical, they can be subversive and critical. In our classrooms, they can also perform an important “meta” function: democratizing theory for undergraduate students who have typically been encouraged to venerate and emulate, but not to create and make. Game design creates an engagement with theory rather than rote memorization of abstract approaches that are usually realized in their application in actual ethnographies where the theory comes alive. If we would like to “restore design to the heart of anthropology’s disciplinary practice” (Gatt and Ingold 2013: 140), then we must also dismantle the hoary dichotomies that have established artificial divisions between theory and practice, design and reflection, production and consumption. Remix and games establish theory as a form of making, one that needs to be negotiated, argued, resisted and, ultimately, re-mixed in order to be sensible in the world. The fact that we do this in person makes negotiating theory a collaborative process rather than a lonely struggle. We do ourselves no favors when we assign theory textbooks and lengthy bibliographies of canonical ideas in proseminar classes. We would argue that this isn’t actually “theory” at all—at least not what theory should be to anthropologists. 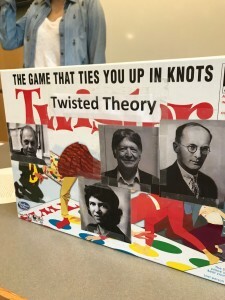 And, we all know that Foucault is really only truly understood at the bar in deep discussion and debate after the seminar anyway so why not bring the game you designed and play that too! Coleman, Gabrielle (2013). Coding Freedom. Princeton: Princeton University Press. Gatt, Caroline and Tim Ingold (2013). “From Description to Correspondence.” In Design Anthropology, ed. By Wendy Gunn, Tim Otto and Rachel Charlotte Smith, pp. 139-158. NY: Bloomsbury.